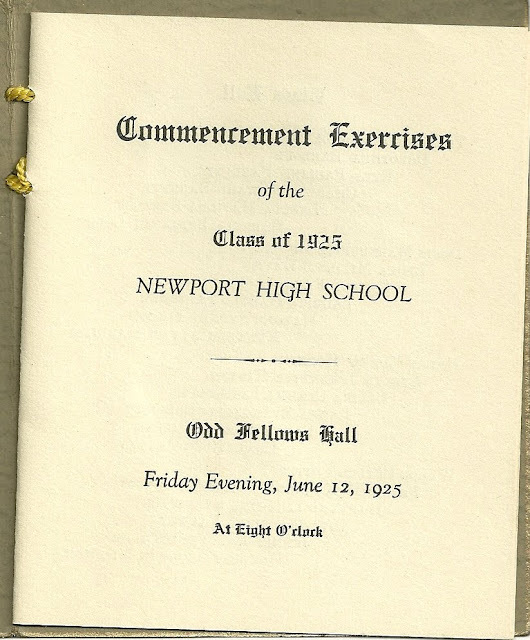 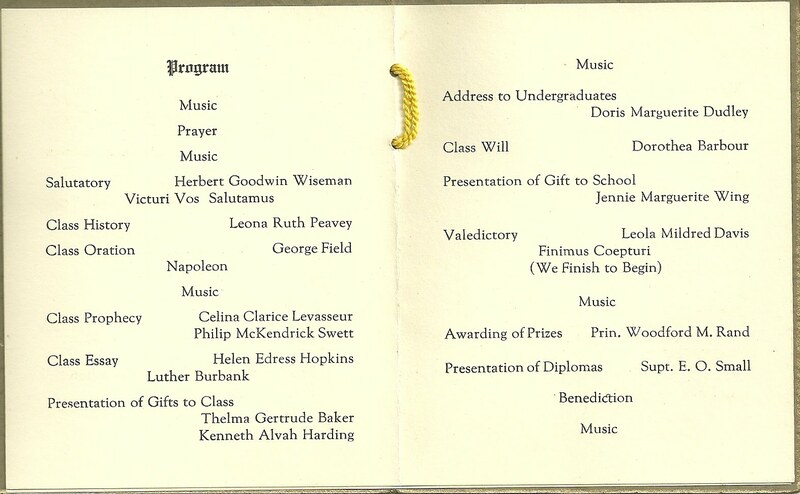 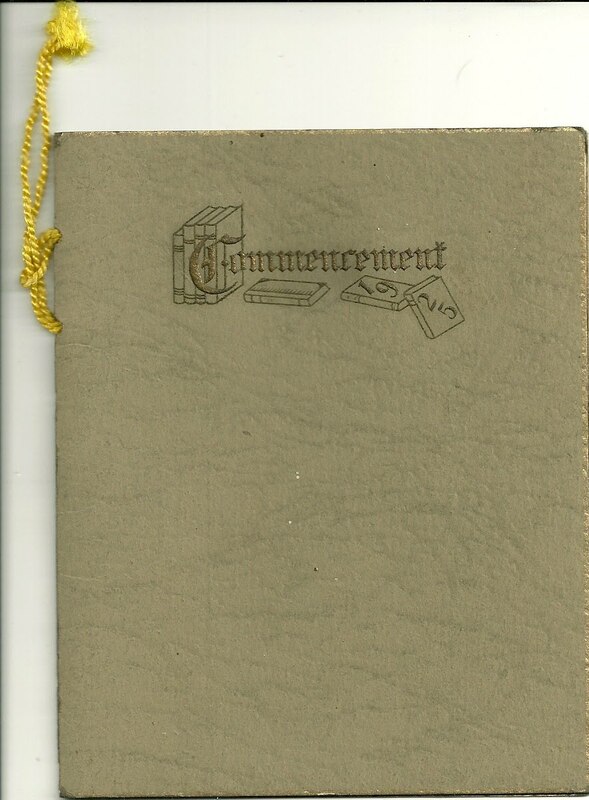 Booklet comprising the 1925 Commencement Exercises Program for Newport High School, Newport, Maine, a town located in southern Penobscot County, Maine on Sebasticook Lake. Commencement Exercises of the Class of 1925 Newport High School, Odd Fellows Hall, Friday Evening, June 12, 1925. 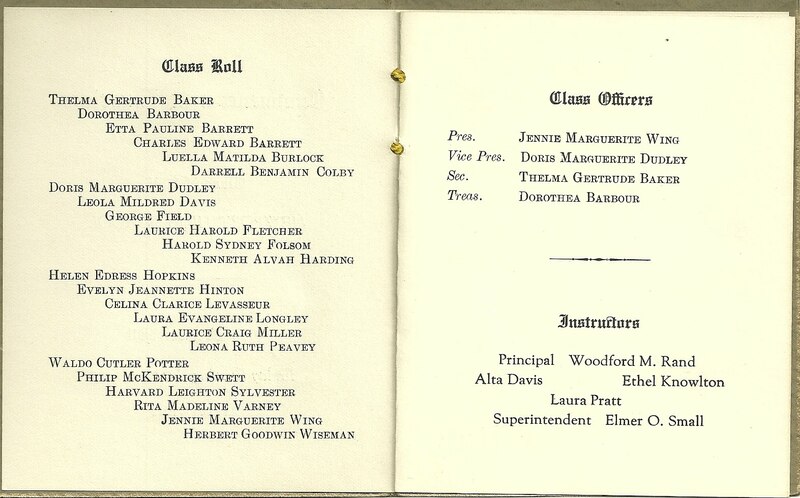 At Eight O'clock. 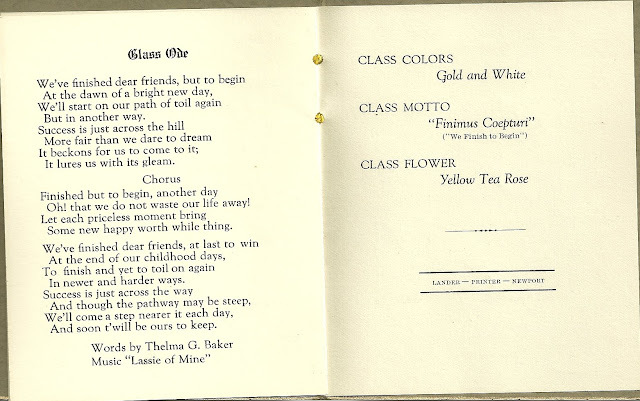 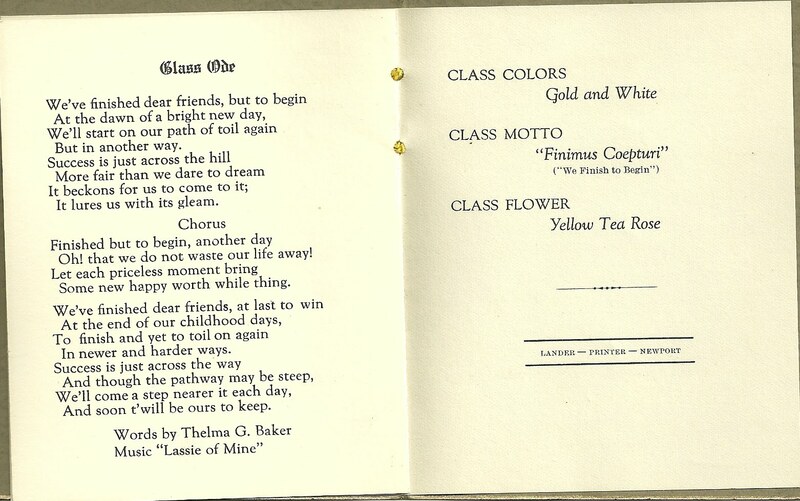 Note that the words to the Class Ode were written by graduating senior Thelma G. Baker.